Almost a third of Americans don't know who their neighbors are, and two fifths also them claim that their neighborhoods are unwalkable, particularly in large cities. 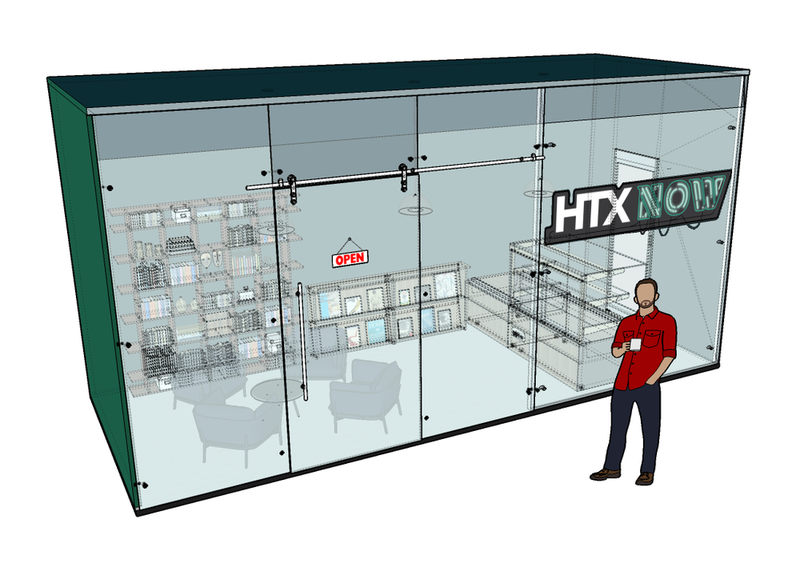 HTX NOW is a theoretical kiosk service company for the city of Houston that would operate from a selection of five kiosks located in various Houston neighborhoods to promote a more walkable city and encourage a more connected community that is truly cognizant of its culture and the people that live in it. As with any company, often what makes or breaks its success is its identity. 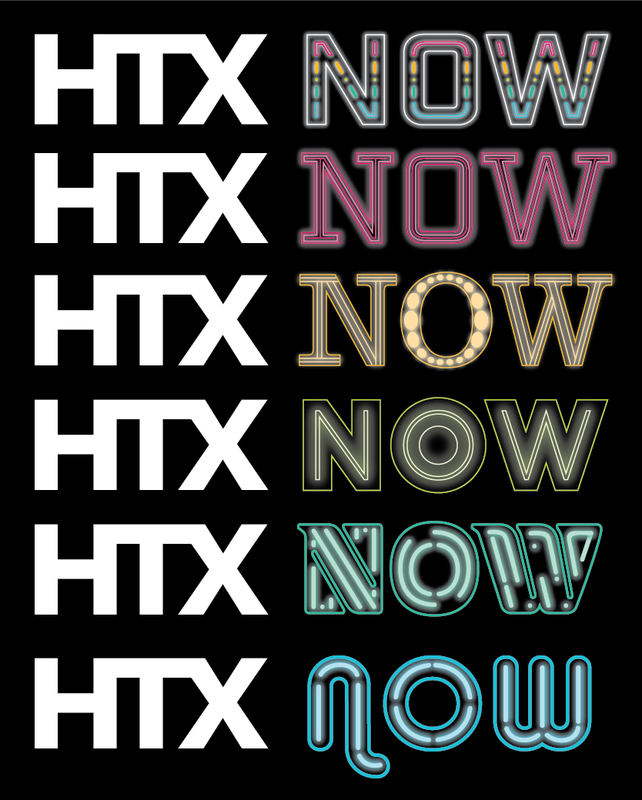 The concept of HTX NOW is rooted in the flavorful individuality of each neighborhood's culture, blending that with the endless possibility of the neon signs that attract many to places they might not have otherwise travelled to. Each kiosk comes with its own amenity designed to attract locals and visitors alike as well as a map and brochure of each neighborhood that highlight some of the best things to see and do within walking distance.